Chocolate brings smiles to many people. They like to give chocolate to friends, family and their special loved ones. Few people don’t like chocolate. To many people, especially women, chocolate is a major necessary food group all by itself. But what do you really know about chocolate, its origin, what it really is and its many health benefits? Chocolate comes from the Theobroma cacao plant. The cacao beans are roasted and then ground. By itself, it’s a bitter tasting product, but when mixed with sweeteners like sugar, it becomes an extremely delicious treat. 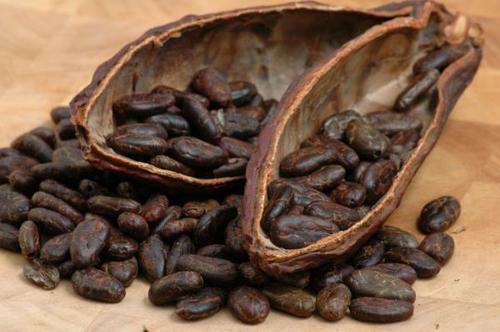 The name comes from the Mayan Indians who called it ‘chocolatl’, meaning ‘food of the gods’. They introduced it to the Spanish who took the delicacy back to Europe. The chocolate we know today is the product of the ground up roasted cacao beans and a variety of other ingredients. The more ground chocolate, the darker and richer the chocolate product is. Dark chocolate has more ground chocolate in it than lighter chocolates. Milk chocolate is when milk is added to make the chocolate product creamier. Dark chocolate can have a more bitter taste without enough sweetener added, but the darker a chocolate a product is, the more health benefits it has. However, please note that while dark chocolate has a number of health benefits, that the amount of sweetener and other products added to the chocolate may not be nearly as healthy. There is a lot that can be said about each and every one of these health benefits, but for the purpose of this article, I want to focus on one new benefit discovered that helps with heart health. Are you familiar with the term AFib? You hear it quite a bit on some popular television shows. It stands for atrial fibrillation, which is a quivering or irregular heartbeat. AFib, if not treated, can lead to blood clots, stroke, heart failure and other heart complication. In the US, there are nearly 3 million people who have been diagnosed with AFib. A study done in Denmark shows that a small amount of dark chocolate eaten weekly can help reduce the risk of developing AFib. By reducing the chances of AFib, that helps explain why so many sources say chocolate is good for heart health. Less AFib, means less chance of blot clots, stroke, heart disease and heart failure. Note, she said it’s an option, not a requirement. Remember that the chocolate you eat is high in calories and sweeteners. While the chocolate itself may help reduce the risk of diabetes, the sweeteners added to it may increase the risk of diabetes. Moderation is the key.